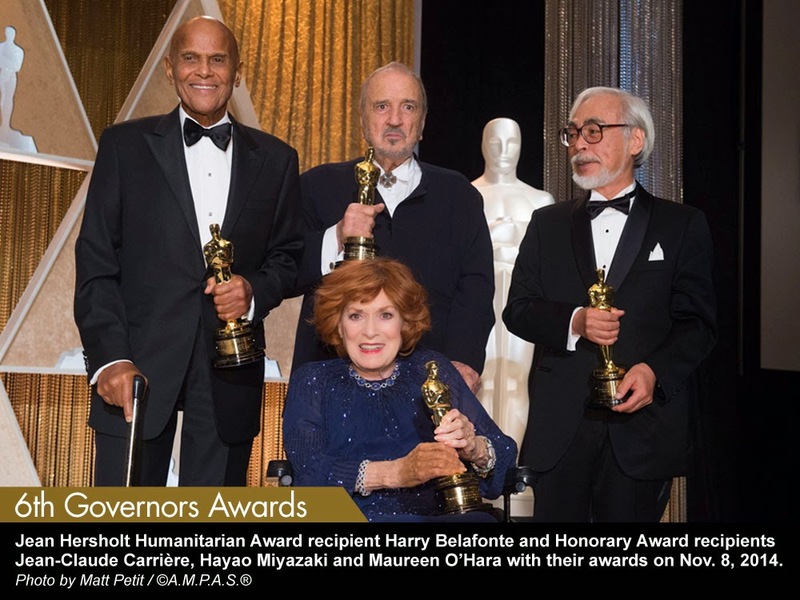 Tonight, the Academy honors Jean-Claude Carrière, Hayao Miyazaki, Maureen O’Hara and Harry Belafonte. 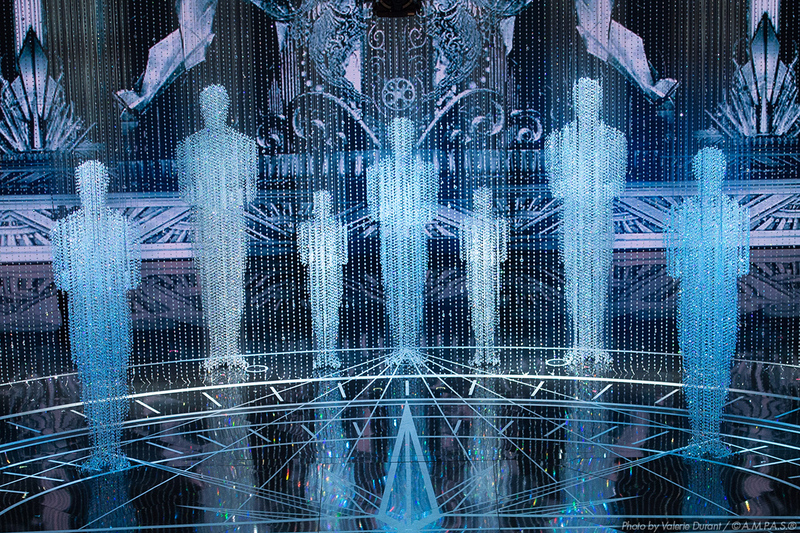 All four will receive Oscar statuettes. This is the honorary Academy Awards — the 6th Annual Governors Awards, an untelevised, dinner event put on by the Academy to bestow its testimonial awards. Writer-director Philip Kaufman made this remark after his introduction of French screenwriter Jean-Claude Carrière, who was one of four honored during Saturday’s Governors Awards, also known as the Honorary Oscars. Kaufman, who earned an Oscar nomination with Carrière for “The Unbearable Lightness of Being,” said the writer “has got to be at least 143 years old” after considering all of the art he has put out. Carrière, 83, has written 139 films, acted in 32 films and directed three films, one of which won an Oscar. Kaufman also noted Carrière’s many theatrical works over more than 30 years. During his acceptance speech, Carrière said he was grateful for the “truthfully unexpected” recognition. Carrière compared screenwriters to shadows, “passing through the history of cinema.” They are filmmakers, even if their names are not mentioned in reviews, he said. Each year, the Academy takes time to honor those who may not have been recognized before. The 6th Governors Awards, voted on by the Academy’s Board of Governors in August, recognized Carrière, director Hayao Miyazaki and actress Maureen O’Hara with Honorary Awards. Actor and singer Harry Belafonte received the Jean Hersholt Humanitarian Award. Each received Oscar statuettes.